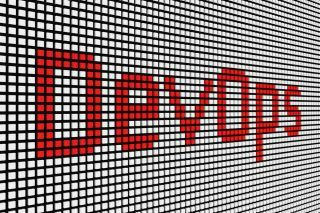 Three obstacles currently stand between organisations and success with widespread automation in DevOps. DevOps, according to Gartner, leads to 66 per cent faster realisation of business value, making it a critical tool for the modern data-driven business. Building on a DevOps mentality with a widespread approach to automation can lead to significant benefits in terms of allowing IT teams to deploy more, fail less and free up crucial time to focus on new business-driving IT services. Many successful companies are already looking to implement this at both a cultural and technology level within their organisation. However, three obstacles currently stand between organisations and success with widespread automation in DevOps: knowing what applications a business already has, siloed teams, and challenges scaling automation both broadly and deeply. Overcoming these will be critical to realising the true potential of DevOps within an organisation, and failing to do so risks an organisation falling behind faster-moving competitors. Underpinning success in overcoming these obstacles is creating a standard way to automate within the organisation – a comprehensive universal foundation that makes all automation initiatives uniform across the company. This is essential groundwork to prevent isolated, siloed automation activity that is difficult to scale and replicate. What do you have, and where is it? Not knowing what’s in a company’s IT inventory is often the first hurdle that prevents teams from getting started with automation. As different departments end up innovating at different rates with different tools, many organisations have separate automation or software initiatives already in place that may not be part of the “mainstream” IT services. The journey to successful automation starts with discovering existing resources. Using discovery tools to find out what hardware and software is running and where, it’s critical to decide what to automate next. In order to scale automation across the entire IT organisation, it’s important to have a a comprehensive and dynamic view across the entire infrastructure. A good discovery tool should tell you what changes over time across your estate but should also be able to discover all resources regardless of where they live without any additional integration with different products. Discover what technologies an organisation has in place, it’s only one piece of the jigsaw. Next step, would be to scale automation across all teams in the IT organisation. In 2017, the State of DevOps Report revealed that, although organisations successfully deliver business outcomes with DevOps practices and modern automation, success is often isolated to specific teams within the IT organisation. Businesses have struggled to break down traditional Dev and Ops silos because these teams rely on disconnected processes and tools to automate infrastructure and application delivery. To close the gap between Dev and Ops organisations need an integrated software delivery toolchain that unifies the approach to automation via a common language. Ideally, different teams in the IT organisation should be able to rely on a single tool that can be shared to help build solutions for the different business requirements. That’s how organisations become capable of responding to market changes and customer demands as fast as required. Once automation has begun to take root in different teams, then automation can start scaling deeply and be extended to the majority of processes that once were performed manually. While going through this scaling process, it’s important to remember the end objective – agility in a competitive business landscape. After all, no one builds infrastructure for infrastructure’s sake, it’s all about delivering applications. That’s where the value is. With a system that automatically discovers all resources and allows users to take action on them regardless of where they live, for instance cloud or premises or VMs, organisations can begin to scale up. This overall visibility is important to be able to see across multiple systems, to ensure that processes are efficient and streamlined. This will help IT organisations to increase the percentage of automation that supports tasks and processes, gaining the agility they need to address new business requirements at all time. This is because they free people’s time from repetitive tasks so that the teams can focus on deliver more value for the company with products and services that the customers demand. Overcoming these three challenges helps achieving faster widespread automation across the organisation. A great boost to this kind of transformation can be given by a different leadership style that supports the cultural change. The State of DevOps report 2017 has been investigating the leadership characteristics that help drive performance. Transformational leadership is a model in which leaders inspire and motivate followers to achieve higher performance by appealing to their values and sense of purpose, facilitating wide-scale organisational change. These leaders encourage their teams to work towards a common goal through their vision, values, communication, setting a positive example, and their evident caring about their followers’ personal needs. A transformational leader has a clear understanding of where the organisation is going and where it should be in five years, they acknowledge achievements of their followers with personal compliments for outstanding work. A transformational leader demonstrates care and consideration of followers’ personal needs and feelings and can communicate in a way that inspires and motivates, even in an uncertain or changing environment. Finally this type of leader challenges followers to constantly ask new questions and to think about problems in new ways. It has been demonstrated that high performing teams have leaders with the highest levels of these characteristics while low performing teams have leaders with the lowest levels of these characteristics. In quantifiable metrics, those high performing teams can deploy new applications 46x more frequently, they can make changes 440x faster and they are 5x less likely to experience change failure. For organisations to be successful, DevOps culture and automation should go hands on hands, because cultural changes reflect the adoption of tools and processes that make the software delivery lifecycle faster and capable of producing and maintain reliable, quality software at all time. The percentage of automation present in an IT organisation is one of key performance metrics to measure the success of the organisation in the DevOps journey. Automation is the foundation of DevOps, because there is no other way to deal with the complexity of the IT systems and progress into the development of new products and services without automation.